A debit card can be used to withdraw cash up to the customer’s bank account’s limit. Therefore, debit cards are linked to bank accounts and issued by banks. To, use debit cards customers should have enough balance. Debit cards are used for withdrawing cash from an ATM, purchase of goods and services at Point of Sale (POS)/ E-commerce (online purchase) both domestically and internationally. Also used for domestic fund transfer from one person to another. In the case of credit cards, a customer can withdraw money beyond the amount of money present his bank account. However, there is a credit limit for the cardholder up to which the extra money can be withdrawn. Also, the withdraw money will have to be paid back as dues along with interest charges as applied by the issuer of card within a time limit. It issued by banks / other entities approved by RBI. These cards are used to purchase goods and service at E-commerce (online purchase)/ Point of Sale (POS) through recurring transaction/ Interactive Voice Response (IVR) or Mail Order Telephone Order (MOTO). In addition, it can be used domestically and internationally (provided it is enabled for international use). These cards are can be used to withdraw money from ATM and for transferring money to bank accounts, credit cards, debit cards, prepaid cards within the country. The usage of Prepaid cards depends on who has issued the card. It issued by banks/non-bank entities. For issuing a prepaid card, one has to pay the amount in advance for using the money whenever required. Therefore, this type of card is never linked to any bank account. The prepaid cards issued by banks can be used to withdraw money from ATM, purchase of goods and services at E-commerce (online purchase)/ Point of Sale (POS) and for domestic fund transfer from one person to another. This one known as open system prepaid cards. However, when it issued by authorized non-bank entities for the same usage it is known as semi-closed system prepaid cards. It can be used only domestically. One can store maximum Rs. 50,000/- at any point of time. 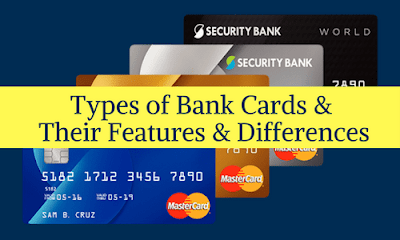 The Difference between Debit, Credit and Prepaid card. In debit card when you purchase something, money is deducted from your bank account. In credit card, the issuer puts money toward the transaction, which is a loan and have to pay back within time limit. In prepaid card, one can withdraw up to the amount present in this card. Application process is easy. Application process is difficult, depending on one’s credit score and other details. Application process is easy. Once you load your card with funds, you can start using it. Debit card linked to bank account when issued by bank. Credit card also linked to bank account. Prepaid card is never linked to account. Debit card only issued by bank. Credit card can be issued by bank/ other entities approved by RBI. Prepaid card can be issued by bank/non-bank. Can store any amount (i.e. present in bank account. Can store any amount (amount present in bank account + extra amount permitted to drawn). At a time can store only up to Rs/- 50,000. Can be used at ATMs. Can be used at ATM to withdraw cash. Cannot be used in ATMs. One cannot withdraw extra money than available in his account in debit card. If one withdraws extra amount one has to pay back the amount with the rate of interest. Amount is paid in advance and no rate of interest is to be paid in prepaid card.